Middle school is right around the corner! 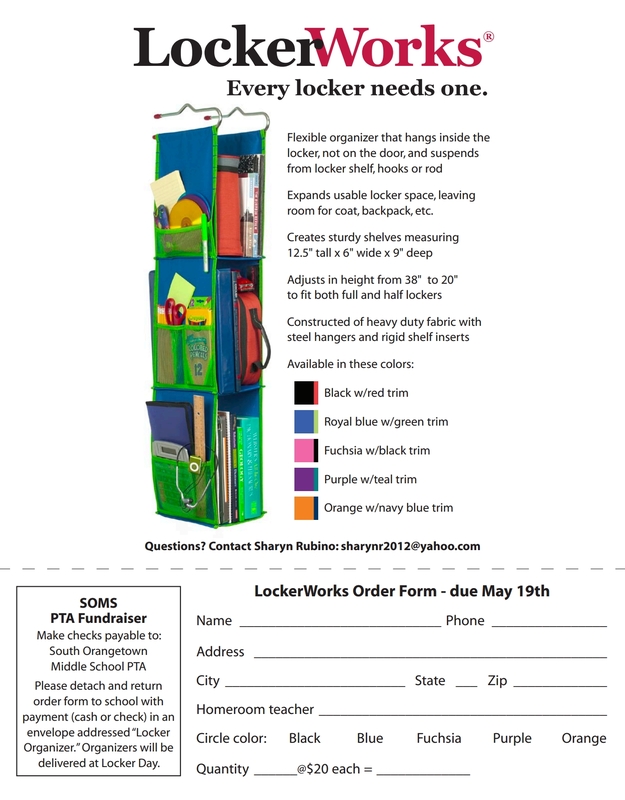 If you’re interested in ordering a Locker Organizer, please print the order form below and return to your child’s 5th Grade teacher by May 19th. Locker Organizers will be available for pick-up at SOMS Locker Day on Monday, August 28.